Critical particle sizes in engine oil? I am trying to find some information on what particle sizes are the most critical for a large diesel engine. On the net I only find "our filter removes" -information, and no real research related datas. I seem to remember that particles over 5 microns and up are the most aggresive ones due to clearences in the engine design, and that particles under 5 micron are neglible. Is there anyone out there with some facts? -Not just selling-points. Hilsen fra Minnesota. Gladlig Syttende Mai! I have enclosed a piece that is a summary of an SAE study. The original is copywrited and may not be available on the internet but may be available at a public library. Have you looked into Kjell Volden's recommendation on this forum about the Norsk developed by-pass filtration system? You can find out more at europafilter.com. For general information on by pass filters a search of the Amsoil site is very helpful. I have included a piece on magnets which may or may not be helpful. Written by David R. Staley of General Motors Corp.
AC Spark Plug and Detroit Diesel Corp. performed a joint study of the relationship between the level of engine oil filtration and Engine wear rates, and found finer filtration reduced the rate of Engine wear. Diesel and Gasoline Engine wear rates were established by building a Diesel and Gasoline Engine with fully inspected wear components and inspecting them after the test. In both Engines, the upper and lower main bearings, oil rings and compression rings were inspected. In the Diesel Engine, the cam lobe profile and cylinders were also inspected, while the piston pin bushings, piston pins and cylinder liners of the Gasoline engine were inspected. The total test duration was eight hours. To accelerate wear, 50 grams of AC Fine Test Dust was added, in slurry form, to the crank case every hour. Diesel Engine wear tests were performed using filters with high efficiency ratings for particle sizes: 40 Microns, 8.5 Microns and 7 Microns. Gasoline Engines wear tests were performed using filters with high efficiency ratings for particle sizes of the following sizes: 40 Microns, 30 Microns and 15 Microns. The researchers found clearances in the Diesel and Gasoline Engines varied between 2 and 22 Microns during engine operations. That means particles in the 2 to 22 Micron size range are most likely to damage Engine parts. Particles smaller than 2 Microns will slip through the clearances without damaging bearing surfaces. Abrasive Engine wear can be substantially reduced with an increase in single pass efficiency. Compared to a 40-Micron filter, Gasoline Engine wear was reduced by 50 percent with 30-Micron filtration. Likewise, wear was reduced by 70 percent with 15-Micron filtration. 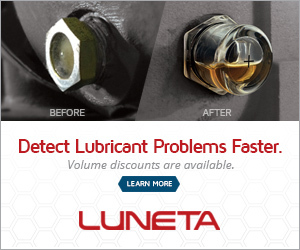 Controlling the abrasive contaminants in the range of 2 to 22 Microns in the lube oil is necessary for controlling Engine wear. "The Micron rating of a filter as established in a single pass efficiency type test, does an excellent job indicating the filter's ability to remove abrasive particles in the Engine lube oil system." The smallest particles most popular "full Flow" filters capture with high efficiency are sized 25 to 40 Microns, depending on the filter brand. Here you have some informations from wellknown companies or institutes, that show that even the smaller particles are critical for engines. OIL – HOW CLEAN DOES IT HAVE TO BE? Clean, dry oil can extend equipment life between failure up to 8 - 10 times the normal operating life. Timken, the bearing manufacturer, reports that reducing water levels from 100 ppm (parts per million) to 25 ppm increases bearing life 2 times. British hydraulics research indicate that if solids contamination with particles larger than 5 micron (0.005 mm or 0.0002”) is reduced from the range of 5,000 – 10,000 particles per milliliter of oil to 160 – 320 particles, the machine life is increased 5 times. If you want extremely low wear rates and long equipment life the evidence indicates that oil needs to be filtered down to sub 5 micron size and preferably down to one micron size. Care needs to be taken that the filter does also not remove any solid additives, such as graphite, in the oil. Additives dissolved in the oil will not be removed unless the additive is attached to a solid particle. One such study by General Motors concluded that, "controlling particles in the 3 micron to 10 micron range had the greatest impact on wear rates and that engine wear rates correlated directly to the dust concentration levels in the sump." More information about the book "How to Select a Motor Oil and Filter for Your Car or Truck"
we have some extremely good examples of what occurs if you allow 10-15 µm silica crystals to gain access to the induction system of 2,000 hp + V12 engines, we have seen 4 > 1500hp engines demise over the last 4 years and all engine makes tend to suffer the same. Failure is usually loss of main bearings and big ends due to the bearing wear surfaces disintegrating. With large engines, 500 hp and up, working hard. When Fe and Pb do sudden changes in oil test results on these large engines the oil filters should removed and cut open and inspected for visible metallic wear debris and if found you won’t have to try hard to shut the machine down and remove the sump/s and inspect the bearings. Using this system failure should be reduced to set of bearings and if the machine continues on after seeing visible metal on the filter is when this type of engine appears to fail with out warning. If there is no visible metal on the filter the filter media machine should be reduced to < 70% power and urgently check a filter media sample in lab for Silica ingress so if found the catalyst can be removed before any significant engine damage can be caused. In diesel engine studies (SAE 864507), the wear rate for particles less than 10 microns was found to be directly proportional to their weight. What this means is that for practical purposes you cannot filter particles too small. There are more particles the smaller the size, and all sizes are bad.By filtering down to 1 micron efficently you remove around 3/4 particles by weight, hence you decrease wear by 400%.This is the rule of thumb theory .A particle oil count before and after installing a bypass filter should show the reduction in particles, and the reduction by particle weight not particle numbers would be directly related to increased component life. How anybody arrives at a critical particle size is a matter of determining your current engine lifespan with your current particle count, and then projecting how lowering your particle counts will improve your wear rates.